2018 Update: We still stand by these quick workouts for busy moms — but you may also want to check out our most recent discussion on the best free YouTube workouts for working moms. SuperMom app. This iTunes app is actually designed to help you get a workout in when you’re caring for your baby — squats to do during bathtime, etc. Get Your Body Back. Six minute workouts, people! I find the instructor to be a bit grating, but I used this a lot with my first baby, when I wasn’t quite sure how long he would stay asleep, etc. Jillian Michaels Kickbox FastFix. There are three twenty-minute workouts on this DVD, and very little equipment needed (5 lb weights, maybe?). You need a bit of space for the “suicides” (running from one side of the room to the other), but you can always do some other high intensity cardio to substitute (jumping jacks or whatnot). The Firm’s Turbocharge Weight Loss. I always love The Firm workouts, and these two twenty-minute videos are no exception — they’re really great ones. Lindsay Brin’s Postnatal Bootcamp. I’ll be honest: I haven’t done this one, but I own it! I did some of her prenatal videos, and liked the instructor. The video is one of those build-your-own-workout kind of things — I believe the main cardio sections are 17 minutes or so. Get Chisel’d (one of my favorite 40-minute workouts, also by The Firm) comes with a 15-minute cardio blast video that can be done by itself. 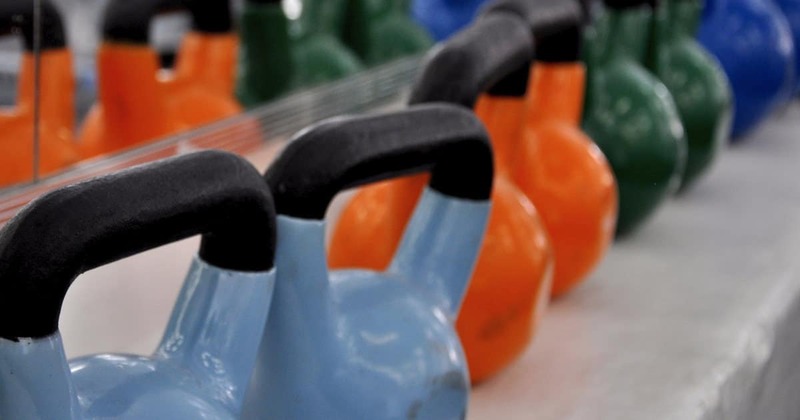 The Ultimate Body Sculpt and Conditioning with Kettlebells DVD with Lauren Brooks (one of my favorite kettlebell workouts, also around 40 minutes for the main workout) comes with a 12-minute “full body blast” — it’s less aerobic/interval training but it gets your heart rate up there. Jillian Michaels’ 30-Day Shred — the classic! This is actually something like 25-30 minute videos. It gets your heart pumping, doesn’t require a ton of equipment, and can generally be done in a small space. I believe she also has one with kettlebells. Couch to 5K — I’ve always loved Couch to 5K as a way to start running after a long absence — and I credit the program with teaching me HOW to run when I first started. The workouts take about 30 minutes, and all you need is a good pair of running shoes (ok, fine, and a good sports bra). Look into general HIIT training. Some of the videos mentioned above already have a version of high intensity interval training (particularly the FIRM videos and the Jillian Michaels videos), but there’s a ton of reading out there. Particularly if you’re more of a machine person (elliptical, bike), it can be a great way to maximize your workouts and get the most bang for your buck in terms of limited time. Ladies — what are your favorite quick workouts for busy moms, whether postpartum or otherwise? How do you get your workouts in? Pictured: Kettlebell, originally uploaded to Flickr by Victor. This is a great round-up! Until recently I just did nothing (except for twice daily walks with my daughter while I was on mat leave), but I’ve recently started doing squats, rises and some stretches while waiting for her to go to sleep at night. I did the 100 Push-up Challenge two years ago and have decided that is the next step – I’ll be starting it again soon. This is timely. I’ve been trying to figure out how to fit exercise back in (4 mo PP) other than walks with baby/dog. I used to work out over lunch as well as trying to make it to a yoga class on the weekends. Now, with pumping, I don’t feel like I can leave over lunch. I’m lucky in that I pump in my office with the door locked, so I don’t “lose” all that much time pumping. So, theoretically, I could still leave to do a quick workout but then that’s another bag I need to bring (purse/lunch/pump). So yeah, I haven’t figured it out yet! My husband and I love our Jackie Warner dvds. I have a couple with 15 minute workouts, 1 with 20 minute workouts, and one 30 minute workout, so it’s easy to choose one that matches the amount of time I have. I try to do weight-lifting circuits on Saturday and Sunday, and then squeeze a short workout dvd or run in the evening on at least one weekday, but that doesn’t always happen. My commute includes a 20 minute walk and a climb up 75 stairs, so I figure if all the exercise I get is that plus my weekend workouts, I’m not doing too badly. Wow! Good for you! I try to take the stairs as much as possible every day at work (I work on the sixth floor) but it kills me. Great post. I have been pretty sedentary the last few years and only recently started exercising regularly. Shortly after my toddler turned two this summer, I was tired of being tired and overweight and I bought a treadmill. I committed to doing just fifteen minutes a day, and got a big desk calendar and star stickers to keep track of every workout. I get on the treadmill when my husband starts bath/bedtime during the week and whenever is convenient on the weekends (I try to do longer sessions on those days). Even as tired as I am after working all day and making dinner, I can almost always find the energy to walk for fifteen minutes, and most days I run/do intervals. It’s been almost three months and I’ve not missed more than two days in a row, surprisingly. (The stickers were fun and motivating in the beginning, and it’s still encouraging to look back at all the workouts I’ve done.) I try to do some quick sets with free weights occasionally, but I basically just use the treadmill right now. I’ve lost ten pounds, dropped a couple sizes, and can run faster and longer. My blood pressure improved, too. Just 15 minutes! That’s what worked for me, I think, beyond having the means and support to get the treadmill, have space for it, and use it–I set a goal that was truly manageable instead of beating myself up because I can’t go to 90min hot yoga classes or train in the gym for an hour like I did ten years ago. I just needed to get moving. I was hesitant to buy a treadmill because I didn’t know if I’d use it, but it has been great. It’s just so convenient. I wish I hadn’t waited so long! Next step is adding weight training, which I might be able to fit in during lunch, either in my office or at the gym on site, but I think it will be hard to be as consistent with that. +100 for this. I bought an elliptical for my apartment last month and it’s already made a world of difference. After the baby is asleep I just hop on, no commute to the gym necessary! On weekends, I can take advantage of her naps to get in a good workout. I was so surprised by how easy it is to work out when the machine is right there, versus going to the gym. And when you compare the cost of the machine to the cost of a gym membership, you realize that the machine is cheaper in the long run. Totally recommend. I can’t recommend Lindsay Brin’s workouts enough. Her HIIT style burns the fat and builds muscle (I felt super weak after giving birth and it feels so good to feel strong again) and her core program is far away the BEST I have found. It pulled my diastasis recti (ab muscle separation. Mine was 3 fingers width) back together and flattened out my belly. I’m so grateful that I found her DVDs because they actually fix the diastasis recti, instead of making it worse like a different workout program did… 30 minutes a day, I can do that. I also have diastasis recti (5 fingers after last baby, still 2-3 fingers) so thank you so much for posting that! Thank you thank you! I have diastasis recti too and I’ve been so hesitant to workout because of it! You’re welcome! Look for her Core Firing Sequence, that’s the one that will pull the diastasis recti in. Helpful list, Kat. I was already familiar with only a couple of these. I’ve by far had the most luck with bike commuting. I got a 40 min workout by biking my normally 20 min commute (both directions added together), which felt like getting 20 minutes for free. Unfortunately I recently moved well out of bike range, so I’m back to the drawing board. I’ll have to flag this to check out some of these DVDs for postpartum! I have 30 Day Shred, which I like but find really repetitive after a week or two, and a few yoga DVDs, but I would like to add some more HIIT-type workouts to the rotation. I’m a member of a gym with babysitting, but baby must be at least 3 months old so I’ll be SOL on maternity leave. For the first baby, I just went for loooong walks and later, jogs with the stroller, but that was spring and this will be winter. We joined the gym (10 minute walk from our house) when LO was about 6 months old. I go swim laps right after I kiss LO good night a couple times a week, and I bring him with me on Saturday morning while DH sleeps in. It’s time-consuming, but pools are a pregnant lady’s best friend, so I prioritize it. There’s a gym in my building about 30 steps from my desk, so I do weight workouts (NROLFW, at the moment) that don’t require a post-workout shower there a couple times a week, too. If I change really quickly, I’m usually not away from my desk more than 30 minutes. I have a 3 year old, and the only way I have time to work out is to get up early (5:45 3 days a week; 4:45 2 days a week; 6:30 on weekends) to go to the gym (or run outside on weekends). I usually spin 3x per week, run twice, lift twice, do yoga once and do Pilates once, except when work is crazy and then I drop everything but cardio. Now that my kid is older, he enjoys long bike rides (as long as they end somewhere fun for him), so we’ve been getting some weekend exercise by biking. My spouse handles preschool drop off so on workdays I get ready at the gym and go directly to work from there. Not sure how I will fit in exercise when my spouse is away for a several month business trip– I wish my house were big enough for me to have exercise equipment there! For me, the only way I could make myself get a morning workout in was to setup everything the night before – sleep in workout clothes or have them immediately next to the bed, have the DVD in or next to the player, a water bottle next to the sink, etc. If I had to think or find something, forget it, I was going to find an excuse to skip it. I’ve read great reviews of this work out and and have put it on my wish list. If you haven’t tried FitnessBlender.com, give it a shot. All free, filmed by a young couple in Washington who only want you to be fit. There is a nominal charge to buy a specific set of workouts. I just finished the 4 week upper body one and actually have biceps now! Easy searching and workouts range from stretching to HIIT to strength. Length also varies and I manage to keep it at around 30 minutes per day. Stronger than ever at 56 and feel way better than when I was running 5 days a week!